1Not available with special finance or lease offers. See dealer for details. 2Not available with special finance or lease offers. See dealer for details. 3Must finance through GM Financial. Some customers may not qualify. Not available with some other offers. See dealer for details. 4Not all customers may qualify. Please see dealer for full details 5Monthly payment is $13.89 for every $1,000 you finance. Average example down payment is 4.5%. Some customers may not qualify. Not available with leases and some other offers. Take retail delivery by 4/30/19. See dealer for details. 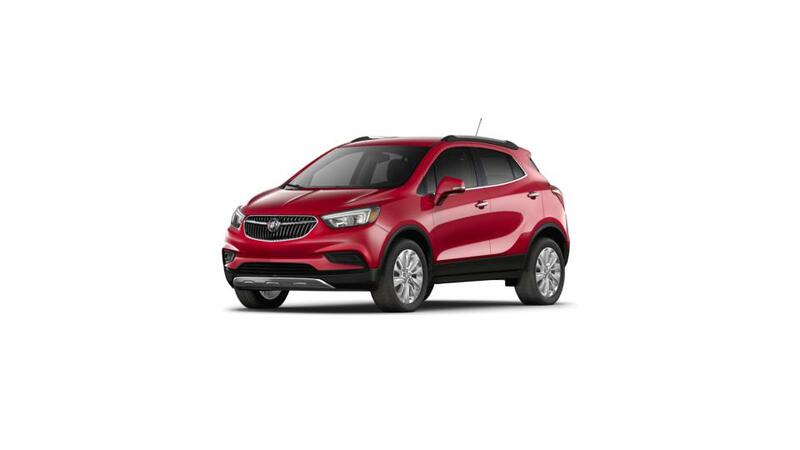 • The is a compact SUV that is dependable,versatile, and enjoyable to drive. • Technology aficionados will take advantage of the ’s onboard 4G Wi-Fi hotspot and hands-free voice commands as part of the Buick IntelliLink system. • It features a frame with a sleek, luxury-inspired design and an interior crafted for noise and vibration reduction, providing you with a comfortable and stylish driving experience. • It has room for up to 5 passengers and fold-able rear seats to create up to 48.4 cu.ft. of storage. • Available all-wheel drive and cutting edge safety features such as Blind Zone Alert and Lane Departure Warning will help you stay safe and prevent collisions as you drive. Shop our inventory of new s in Turlock to find the color and options that you are seeking. Call us at (209) 417-1072 to test drive the today.